In 2014 the Schweizer Nationalpark will celebrate its centennial. Established in 1914 the Swiss National park was the first national park in the Alps. Right from the very beginning the concept of the park had incorporated wilderness as one of its objectives and this was a very first step to the the wilderness conservation in Europe! The aim of its founding members, pioneers in the protection of the natural environment, was to ensure that a piece of Switzerland’s mountain landscape be left to develop entirely naturally and furthermore that any changes should be the subject of scientific observation and research. The Swiss National park is therefore recognized today as a very important ‘field laboratory’ and an environmental protection icon. Swiss National Park was not only set up as one of the very first to protect and study the dynamism of alpine nature but pretty much defined the early wilderness conservation standard for the rest of Europe. This influenced over time for example the European Wilderness Quality System. 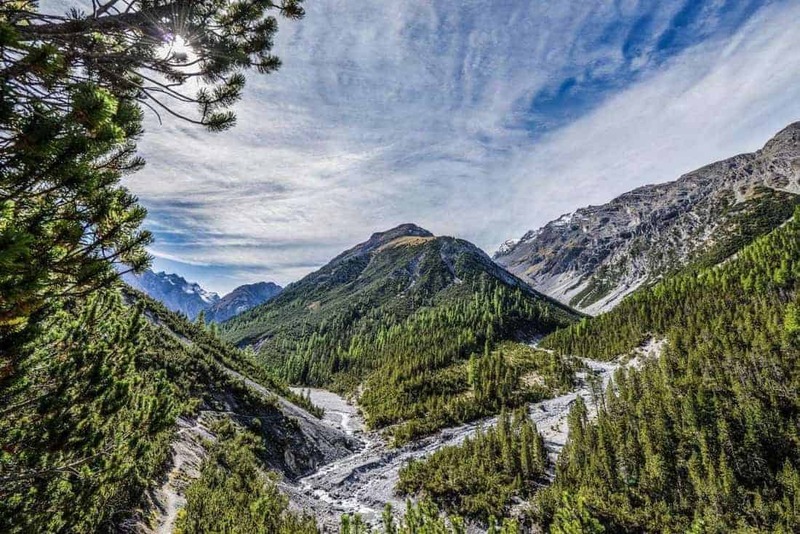 It was therefore only logical that the Swiss National park joined in 2014 the European Wilderness Network with the ambition to conform to the European Wilderness Quality Standards. The beginning of the Schweizer Nationalpark second century is a very special moment in its history and calls for celebration. To this end an organisation committee has been set up and is already hard at work with the planning and realization of centennial activities. Numerous events and activities will be taking place to give the Swiss National park an exhilarating welcome into its second century. The jubilee will awaken national interest as well as providing numerous incentives within the local area of the National Park. However the most important aim is to celebrate the Swiss National parks international importance as an example to having such an area in Europe and motivate other countries and areas to think and do the same: establishing in every single European country certified wilderness areas and so contribute to the European Wilderness Network for future generations to enjoy. Where is the largest piece of Wilderness in Carpathians?